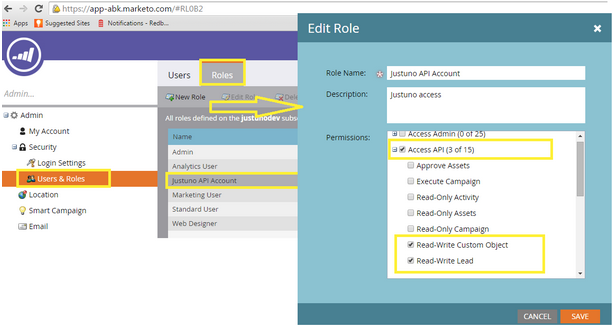 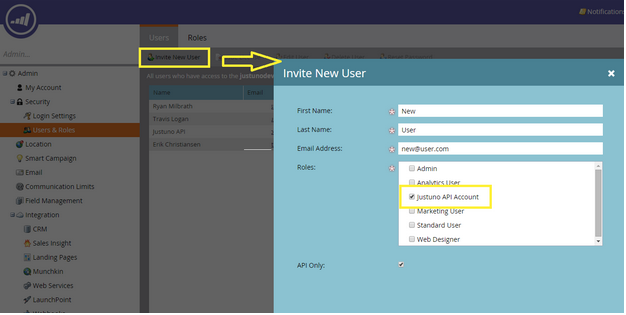 Step 2 - Create a new Justuno User Account that will access this role and has API ONLY access. 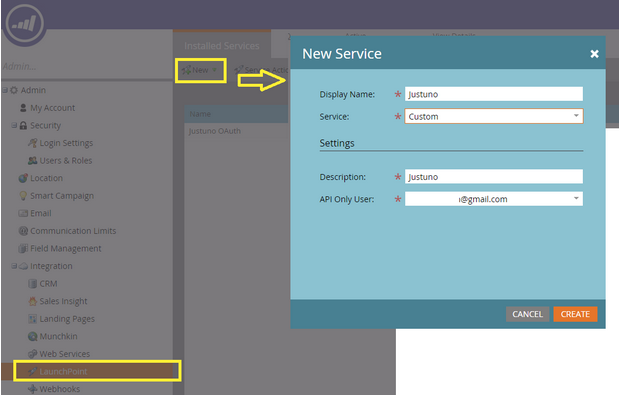 Step 3 - Create a Justuno Launchpoint Service and specify the API ONLY User that you created in Step 2. 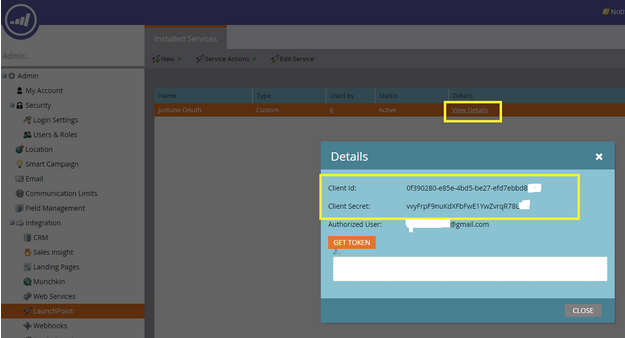 Copy the Client Id and Client Secret for later use. 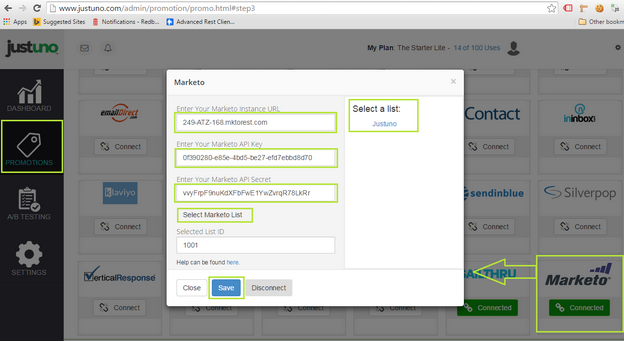 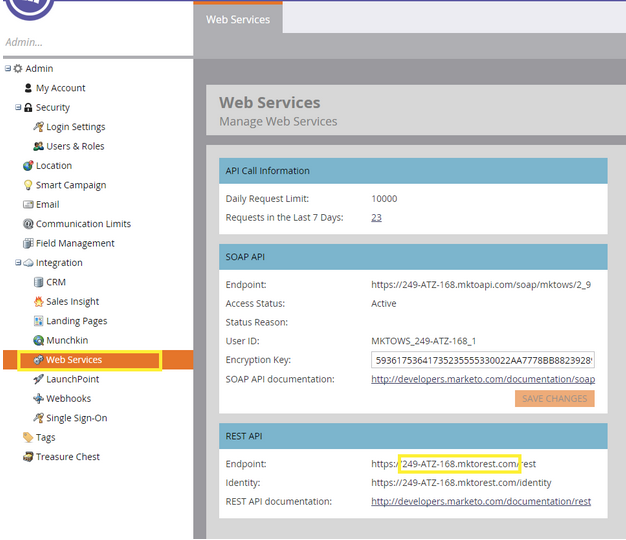 a. navigate to Admin > Integration > Web Services and locate the highlighted portion of the Endpoint URL for later use.